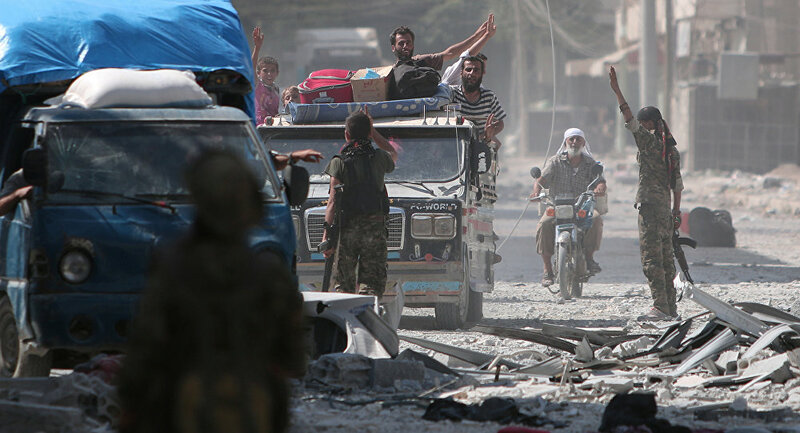 MOSCOW (Sputnik) — On May 21, the SDF, backed by the US-led coalition, began an offensive to retake the northern Syrian town of Manbij, considered a key smuggling hub for Daesh militants. 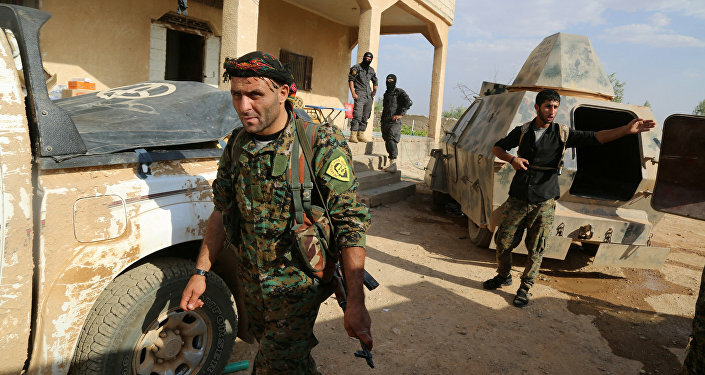 Earlier this week, the Kurdish-led Syrian Democratic Forces made an agreement with Daesh, letting some 200 of its fighters escape from the town of Manbij in exchange for them laying down their weapons, US media reported. "The US-backed Democratic Syrian forces obviously made a deal with Daesh fighters, letting them escape from the town of Manbij. It means that the United States does not intend to fight Daesh, instead they continue to use the religious and ethnic tension and unrest in the region for their geopolitical goals, including fueling unresolved conflict related to the establishment of an independent Kurdistan on parts of the Iraqi, Turkish and Syrian territories," Ahmad said. He believes that the United States supports the idea of an independent Kurdistan that may become a US political ally and aims to establish such a state in the northern provinces of Syria to further connect it with the Kurdish state in Iraq and, possibly, with Kurdish territories in Turkey. "An independent Kurdistan may destabilize the region even further," Ahmad said. The Kurdish ethnic group inhabits parts of northern Syria and Iraq, southeast Turkey as well as western Iran, where the group, that mostly practices Islam and other religions, forms a majority. In Syria, the Kurds have established control over Kobani after intense and prolonged fighting with Daesh (banned in Russia) early this year. In Turkey, Ankara abandoned a two-year ceasefire with the separatist Kurdistan Workers’ Party (PKK) this summer to launch a retaliatory anti-PKK campaign in northern Iraq and southeast Turkey.